One wave rolls out as another crashes in during this long exposure on the foggy Oregon coast. The tide is rising after an a very low tide has exposed the plethora of intertidal life clinging to the boulders and tide pools. 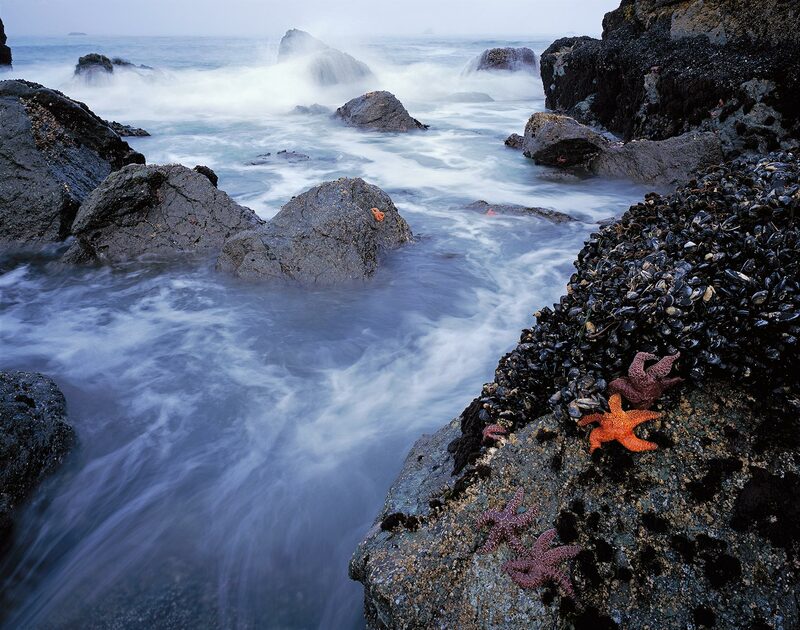 I am amazed by how the steadfast sea stars are able to endure the pounding of the waves. Making this photograph was a challenge. By the time I was able to climb down and carefully assemble my large format camera and tripod one piece at a time on a small rock, the tide had risen so quickly that the waves were lapping at my feet.